Many, but not all, of the questions left open by Code Section 199A, the new provision added by the Tax Cuts and Jobs Act (TCJA), have been answered by Final Regulations issued by the Treasury Department. As discussed in our earlier alert1, Section 199A provides both individuals and trusts with a 20% deduction for certain income earned directly or through pass-through entities, excluding employee wage income, (Qualified Business Income, or QBI), subject in certain cases, to wage and/or asset basis limitations. Certain service-related trades or businesses (Specified Service Trades or Businesses, SSTBs) are not eligible for the deduction. REIT dividends and publicly traded partnership income also qualify for the deduction, and neither is subject to the wage/asset basis limitation, nor is either category reduced by negative QBI as they are treated as separate buckets. Aside from REIT dividends, investment income is generally not eligible for the deduction. The deduction has an additional cap set at 20% of an individual’s or trust’s taxable income (net of capital gains). The deduction is taken at the individual or trust level, but several determinations are made at the entity or trade or business level. Thus, as detailed below, certain reporting requirements apply with respect to pass-through entities and trusts earning QBI or engaging in SSTBs. Many, but not all, of the questions left open by the statute have been answered by treasury guidance (in proposed form as of August 2018 and finalized in January 2019), which will be discussed in detail below. QBI is derived from a “qualified trade or business,” under the statute, this includes any U.S. trade or business other than SSTBs and the trade or business of performing services as an employee. The statute, however, did not define trade or business for these purposes. The Final Regulations adopt the commonly used Section 162(a) definition of “trade or business” found throughout the Internal Revenue Code and interpreted extensively in case law. The term generally denotes an extensive profit-oriented activity over a substantial period of time, and a fact-dependent, characterization of a set of activities as a trade or business. Notably, the use of this standard can be problematic for certain real estate investments, specifically ground lease and net lease investments, which may not rise to the level of a trade or business. Realizing that the definition of trade or business in the context of real estate is a difficult determination, Treasury and the IRS issued Notice 2019-07, along with the Final Regulations, to provide a safe harbor for a Real Estate Enterprise (REE). A REE, a new term only applicable to Section 199A, is an interest in real property held for the production of rents and may consist of a direct interest (or ownership through a disregarded entity) of multiple properties. The safe harbor generally provides that a REE is a trade or business as long as 250 hours or more of rental services are performed in a particular year with respect to that REE by the taxpayer or its employees or agents. Also favorable to the real estate industry, the Final Regulations, allow taxpayers to treat the rental or licensing of tangible or intangible property to a related trade or business as itself a trade or business, provided the lessor/licensor and lessee/licensee are commonly controlled under the Regulations’ aggregation rules, discussed in detail below. 25% of such wages plus 2.5% of basis in qualified property (UBIA, discussed below). The statutory wage limitations look to the taxpayer’s W-2 wages, meaning wages subject to Medicare tax included in a form filed with the Social Security Administration (a W-2 or W-3). In clarifying the wage component, the Final Regulations adopt many of the provisions that applied to certain domestic production activities under Section 199, on which the Section 199A wage limitation is modeled. Most significantly, the Final Regulations allow for wages paid by persons other than the taxpayer to be attributed to the taxpayer for purposes of Section 199A, a favorable rule for alternative pay arrangements such as common paymasters or professional employer organizations. This rule applies only to the extent the wages paid by the other person are paid to common law employees or officers of the taxpayer. Generally, this is the taxpayer that controls the when, where, and how the work is performed and/or hiring and firing. Treasury and IRS issued Revenue Procedure 2019-11 along with the Final Regulations, which provides several methods for calculating W-2 wages. However, in order to count wages for purposes of the limitation, the pass-through or disregarded entity must claim the corresponding wage deduction in taxable income. For partnerships and S corporations, the Final Regulations therefore provide that 199A wages be allocated to partners in the same proportion as the deduction for wage expense. Wages for purposes of 199A are on a cash basis. As a result, a 199A deduction may not be generated by wage deductions accrued but not paid by the end of the tax year. the depreciable period has not ended before the end of the tax year. Generally, an asset’s depreciable period ends in the later of the last full year in its applicable recovery period (excluding ADS lives under Section 168(g)) or ten years after the asset was first placed in service. Unfavorably for taxpayers, the Proposed Regulations specifically excluded partnership basis adjustments under both Sections 743 and 734 from being included as UBIA. However, the Final Regulations now allow an adjustment to UBIA for Section 743 adjustments only. The adjustment is calculated as the applicable taxpayer’s share of the difference between the fair market value (FMV) of the underlying assets that the 743 adjustment relates to at the time of the transfer over the UBIA of said assets. The adjustment can be negative. Once a trade or business conducted by a partnership or S corporation determines its UBIA, the Final Regulations provide that UBIA is allocated among the partners or shareholders in the same proportion to current year book depreciation. As noted above, SSTBs do not generally qualify for the 20% deduction.3 Nor, as discussed below, do SSTBs qualify for aggregation. Additionally, neither wages nor basis from an SSTB are ever considered for purposes of Section 199A. The determination of whether a trade or business is an SSTB is made at the trade or business level. The statute, however, did little to define the scope of the listed professions. The Final Regulations provide definitions and examples, which help clarify that, for the most part, the 12 listed professions are meant to be interpreted rather narrowly. Receives appearance fees or income. The Final Regulations provide two examples of this provision, including a well-known chef endorsing a cookware line and a well-known actor receiving compensation from a shoe company for the use of her likeness. Despite lacking statutory authority to do so, the Final Regulations also provide a taxpayer-friendly de minimis rule regarding businesses which earn both SSTB and non-SSTB income. Under this rule, a trade or business with gross receipts of less than $25M is not an SSTB if less than 10% of its gross receipts are attributable to services in one of the SSTBs. Trades or businesses with gross receipts exceeding $25M will not be considered SSTBs if less than 5% of gross receipts are attributable to services in one of the SSTBs. 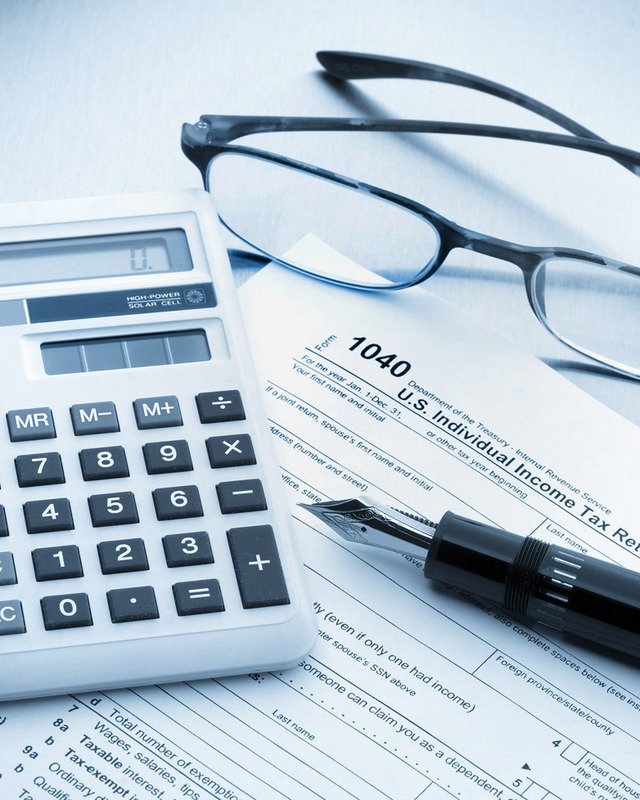 This de minimis rule provides much needed relief for businesses fearful of losing their entire deduction due to small amounts of “tainted” income. The businesses are operated in coordination with, or in reliance upon, one or more of the businesses in the aggregated group (e.g. supply chain interdependencies). The aggregation rules apply to trades or businesses, not to entities, but the Final Regulations assume that a single trade or business is not conducted through multiple entities. Aggregation elections are made at the individual, trust or pass-through entity level, and are purely elective. However, once an election is made, it is irrevocable. The only way that activities can be decoupled in a future year is if the trades or businesses no longer meet the aggregation criteria. The same taxpayers may be able to aggregate the same activities; however, one may choose to aggregate while the other does not. Activities can be aggregated together even if some are operated directly by a taxpayer while the others are operated in pass-through entities. An interesting aspect of these rules is that even minority owners can aggregate activities so long as they are invested in businesses with common majority ownership. X LLC, Y LLC, and Z LLC (all taxed as partnerships), are owned one third each by individuals A, B, and C.
X and Y LLC each own a commercial rental real estate building. Both buildings are fully depreciated although building Y made a $300,000 improvement which, under the Modified Accelerated Cost Recovery System (MACRS), is 5 year property and therefore eligible for 100% bonus depreciation. Z LLC manages the X and Y buildings as well as others. Under the 199A regulations, A, B, and C could all elect to aggregate each of these activities. A and B make the election on their 2018 tax return but C does not. As can be seen in the above example, assuming that individuals A and B have at least $350,000 ($350,000 x 20% = $70,000) of net taxable income removing capital gains and losses, they can benefit by aggregating the three activities under 199A so that they can take a $70,000 deduction ($47,500 in excess of the maximum deduction C can take even though they all have equal distributable shares of income from the activities). The Final Regulations clarify that Section 1231 gains (and, in fact, all amounts) taxed as capital gains on the ultimate individual or trust return, are not included in the calculation of QBI. However, if the taxpayer has net Section 1231 losses for the year, all 1231 gains and losses from QBI activities should be included in the QBI calculation. Ultimately, RPE’s should report to all partners what activities the 1231 gains or losses are generated from each year. The treatment of trusts is another complicated topic when it comes to Section 199A. The simplified premise is that trusts can be both a taxpayer and an RPE under 199A. This is determined by the amount of distributable net income that is retained in the trust versus the amount passed out to beneficiaries in a given year. Look out for another Client Alert featuring a detailed discussion of trusts and 199A. Pass-Through Entities: An RPE must disclose to its partners or shareholders the amount of QBI, wages, and UBIA allocated to the partner from each trade or business, as well as whether any business is an SSTB. The Treasury regulations issued pursuant to 199A go a long way towards explaining the more intricate aspects of this new tax deduction. The regulations provide guidance to pass-through entities on exactly what information needs to be reported to its partners or shareholders, and the manner of allocation amongst them. At the individual or trust level, the regulations also provide a new approach towards grouping activities, which decline to follow the grouping rules currently contained in the passive activity loss and net investment income tax rules. Finally, the regulations interpret, quite narrowly, the definition of a specified service trade or business making many more service businesses eligible than previously fared. Overall, these regulations skew towards being taxpayer friendly, meaning that the 199A deduction will likely be available to more taxpayers than originally anticipated. Questions? Contact Joseph Most at 212.699.8813 | jmost@berdonllp.com or reach out to your Berdon tax advisor. 2 Though the statute referenced by Section 199A also encompasses architecture and engineering, both are specifically excluded from the definition of SSTB and are thus eligible for the 20% deduction. 3 The exception is for taxpayers with income below the threshold amount. 4 Certain family attribution rules apply for this purpose.